The designs, logos, text and / or graphics outside of COME2BCN S.L. that may appear on the website belong to their respective owners, who are themselves responsible for any possible controversy that could arise with respect to them. 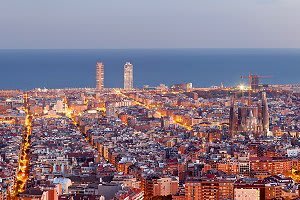 COME2BCN, S.L expressly authorises third parties to redirect directly to the specific contents of the website, and in any case redirect to the main website of https://www.apartmentbarcelona.com/.